Things have been quiet here (on the website) because things have been anything BUT quiet at the Puggles & Pitties house! Thought we’d take some time to give you all a quick update on the kids! Karma is doing spendidly! Every morning she’s a little more wiggly than the next. As soon as she wakes up, we go out in the backyard where she knows exactly what to do. Once she’s done, she wiggles and waggles her whole body back over to her foster mom for some early mornin’ lubbins. Still haven’t introduced her to the other dogs in the house, but she’s such a doll-baby she will make someone a WONDERFUL companion whether or not she can share her life with other dogs. Her stitches come out this weekend, so we’ll see how she’s healing up – and we can finally take her to have a bath!! Happy dance!! On the fundraising front, the Walkin’ the Bark fundraiser last week did really well! Apparently they were able to raise $430 for Karma’s medical bills! Once that payment is applied to Karma’s account, we’ll give another update as to the account’s remaining balance. Thank you to Judy and the rest of the folks at Walkin’ the Bark, as well as to everyone else who has made Karma’s recovery possible! Little Linus is our current resident imp! He’s adorable as can be, and he knows how to work it to his advantage! He’s begun his puppy classes and did really well in his first class. We’ve discovered that Linus is deaf, so he’ll need a very patient human who is willing to maintain his training and provide him with constant guidance and reassurance. But look at dat face! Linus would do very well in a foster-to-adopt situation, as he does need more training before we’d feel comfortable placing him, but we know you can’t wait to get some of that puppy breath!! 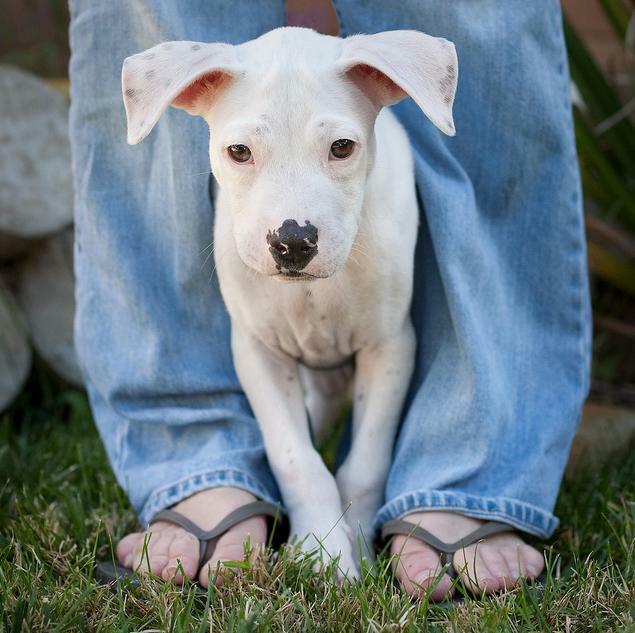 As a foster, we would ask that you also take him to his training classes which are Saturdays at 11:15 in Encinitas. This is so that you, as his potential forever home, can learn the important skills of communicating with a deaf dog. Our little FiFi…what can we say? Yes, she IS still with us and yes, she IS still available. After an exhaustive round of testing, the best educated guess at the moment is that her medical problems are actually not medical problems at all; they are mostly psychogenic in origin, meaning they are all results of the stress she’s under. Get rid of the stress, and her medical issues will likely correct themselves. To that end, we have been making changes at Puggles & Pitties. If Fi’s under stress, the other dogs probably are too. We have done further research on nutrition and its effects on dogs and have changed the food we now feed all of our kids. We’ve also added different types of toys or other tools to help them pass their time while their humans are away. We are consulting with Nan Arthur (CDBC, CPDT, KPACTP) of ﻿﻿Whole Dog Training to learn exercises and activities we can do with the dogs to help bring their stress levels down, as well as learning about changes we can make in the environment of the home as a whole. Fiona will be meeting with Dr Lee Harris, a Veterinary Behavioral Consultant, in the next fews weeks. It’s possible she’ll need some doggy Xanax to help her focus on the training and behavior exercises we’ll be working on with her. What would do her the absolute MOST good right now would be to find her forever home. She gets along great with other dogs, but she needs a home with not quite so many dogs in it, and much less activity constantly going on around her. She also needs more one-on-one time than her foster mom can give her right now because of the needs of all of the other dogs in the house. 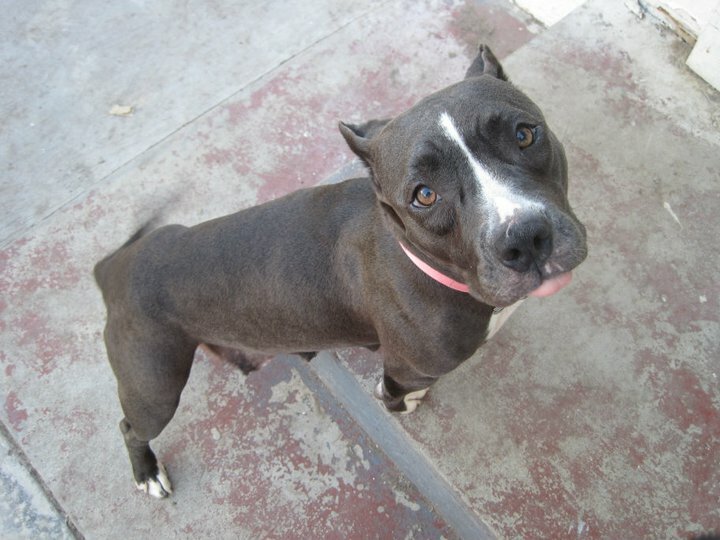 If you are interested in Fiona, we’d like to place her in a foster-to-adopt situation. 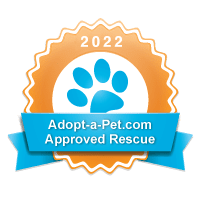 This will allow her to be in a place where she can relax and calm down; will allow Puggles & Pitties to continue to oversee her care until things level out for her; and would allow you to bring her into your home sooner rather than later. There is definitely work to be done with Fi, but it is not difficult nor does it take hours every day. It takes someone who is dedicated, patient, open-minded, and loving. If you think one of these kids might be right for you, please contact Kelly at mdgrrrl@msn.com to request an application. Once the application is received, we’ll schedule a home visit and check references. 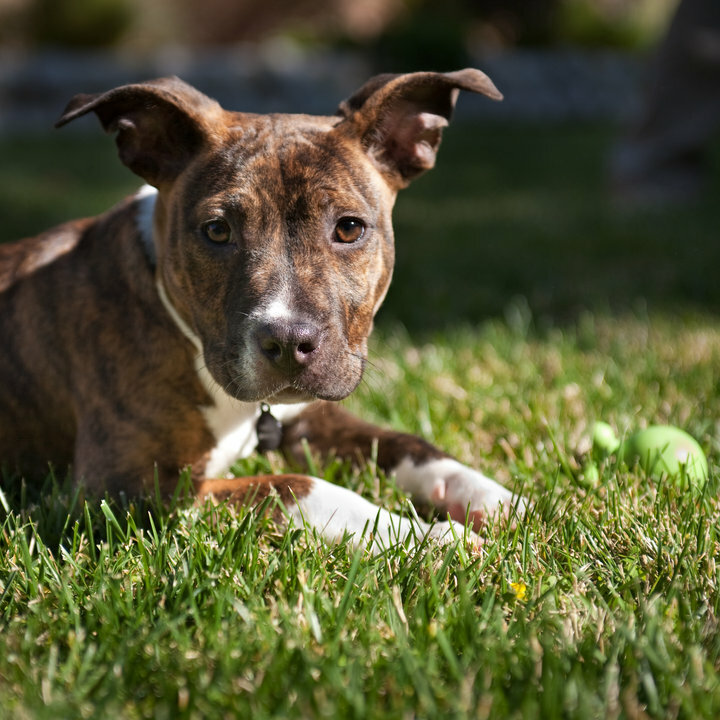 The application process for a foster-to-adopt is the same as for a straight adoption, as the understanding is that you are fostering with the intent of eventually adopting the dog once s/he is ready.